This page may contain commonsense. "Don't forget to do this, and oh! by the way remember to say that, make sure you check this, be sure to remember not to forget to do the what I told you to do"....arghhhhh! Please all shut up and leave me alone. Sound familiar! of course it does. 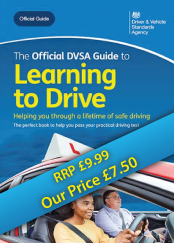 Everyone's an expert when it comes to driving, friends and relatives have always got something to add, some experience they just can't help offloading onto you which winds you up even more, geting you into even more of a panic about your driving. 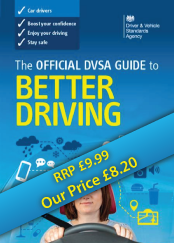 So off you go searching all these driving websites for reasurance, only to be met by loads more advice about not forgetting this and don't forget to do that, and then comes the forums, all these people that are going through the same as you so that's good now you can wind each other up. Oh please let it all stop. Well it would if you let it. 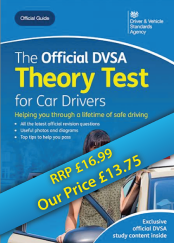 Why should you be bothered about things like pass rates at your chosen test centre, the top ten reasons for failing a driving test and whether someone thinks the examiners at xyz driving test centre are misserable old gits. It won't make any difference to you. If you can drive properly you will pass if you don't you will fail regardless of any of this nonsense. Why would you listen to fellow guests on driving forums, what do they know anyway, what makes them qualified to give you advice? So they have spoken to someone who knows someone who has taken driving lessons. So that's ok then ! 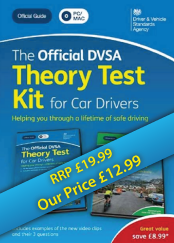 All that rubbish about how to reverse, all that pontificating about lining this up with that and turning the wheel when this meets that but remember to forget it only works on this type of corner and when you get another type "sorry can't help with that". 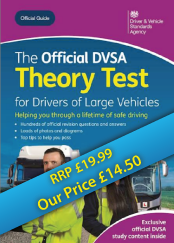 All those types that perpetuate urban myths and excuses, you know the type "I passed/failed because I asked/did'nt ask the examiner if he had shut his door properly. Substitute 'shut his door' for 'wore a short skirt', 'had clean fingernails', 'apologised for taking the wrong turning, 'did'nt/did take my test on Monday morning/Friday 13th/Wednesday afternoon and any other silly senario you could care to mention. And the very worst of all, those that absolutely refuse to believe that failing the test had anything to do with them, but are more than happy to take the credit if they pass. STOP IT NOW, DON'T LET OTHERS DO IT TO YOU, GET A GRIP ON REALITY AND KEEP IT REALLY SIMPLE! 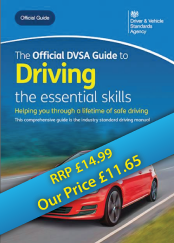 Read the Official DSA publications to fully understand what the DSA expect of you, get yourself a good instructor with a suitable car, take responsibility for your own actions, stop listening to rubbish and keep practicing till you get it. 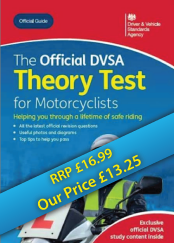 Which you absolutely, definitely will, if you can just get everyone except your instructor to...... SHUT UP!